Stop at the Lido de Paris cabaret, situated half way up the Champs-Elysées and attend the evening new Lido show (duration of about 1h30). 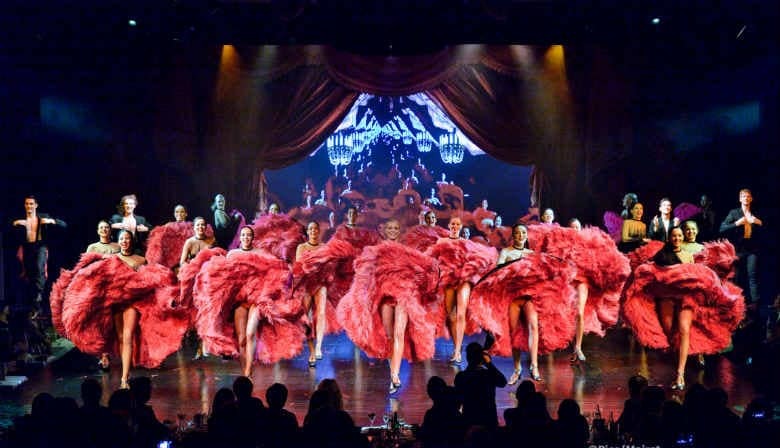 Lido show in Paris is very famous from all over the world with the wonderful Blue Bell Girls, the international attractions and various scenes. During the show you will be offered a glass of Champagne. On Friday and Saturday in winter and in case of 2nd show at the Lido de Paris, a cruise will be offered !